There is a simple beauty here at Spring Farm, in the heart of historic Spring City, Utah. The Farmhouse has been the center of many of our family gatherings and wonderful memories, and we hope the same for you. When you reserve The Farmhouse, you also have access to the entire once acre farm which includes plenty of lawn for your touch football games, a picnic table and Adirondack chairs, a fire pit, a meandering spring that runs intermittently, a delightful pumpkin patch, and a field of 120 lavender plants for your sensory pleasure (though no cutting please). Enjoy the large fully-stocked kitchen with spacious counters, a family-sized eating area with seating for eight. Stay inside the kitchen or step out onto the porch to take in the views that stretch across the large grass area, past the tree house, the Barn and outbuildings, and onto the snow capped peaks of Horseshoe Mountain. 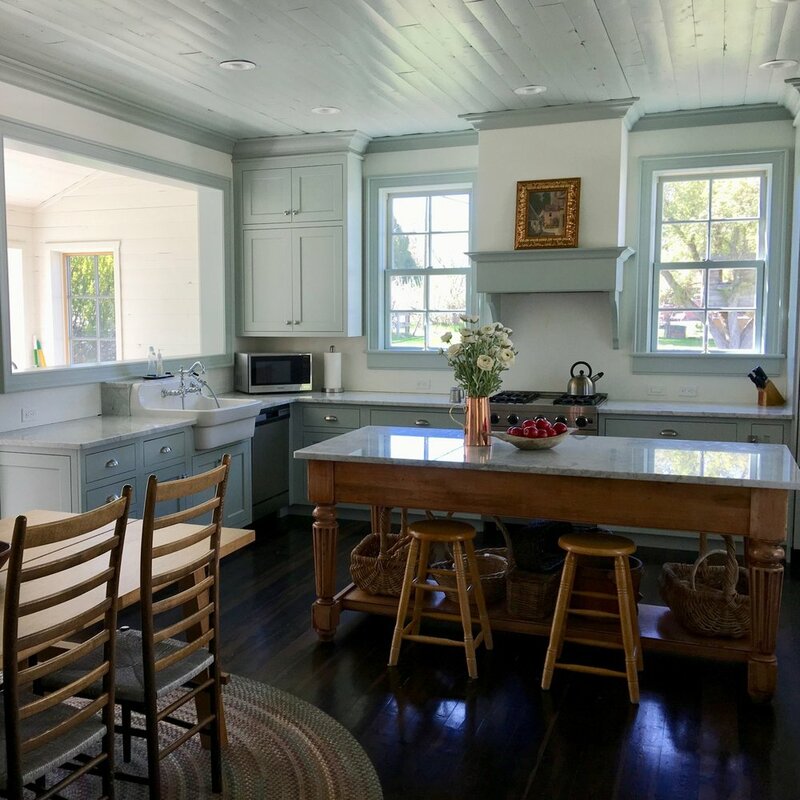 The Farmhouse was recently built to today's highest standards, but in the historic style of the pioneer homes of the area, offering the best of both worlds. The Farmhouse lives large, but is cozy enough to make the space just as enjoyable for smaller groups. Crisp white linens and towels and basic necessities are provided. With four bedrooms and three full baths, The Farmhouse sleeps a maximum of 16, unfortunately we can not allow more. No tents or campers allowed on the premises. For groups larger than 16, consider renting the Cottage for an additional 9 guests - Our Barn Event Rental is required for groups larger than 25, and is the best way to experience all that Spring Farm has to offer.